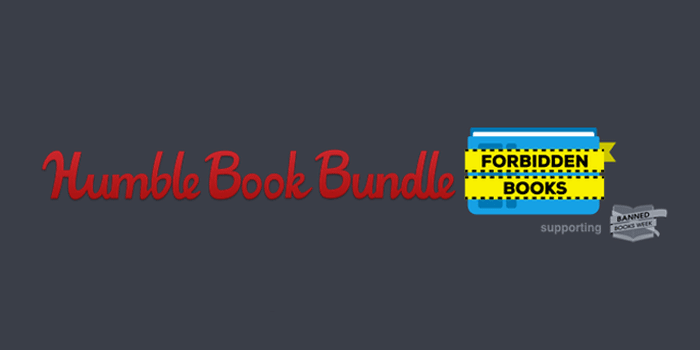 In support of Banned Books Week, the Humble Bundle folks have released the rather sweet Forbidden Books bundle, a collection of “banned, challenged, or controversial” digital books, with a focus on contentious comics. 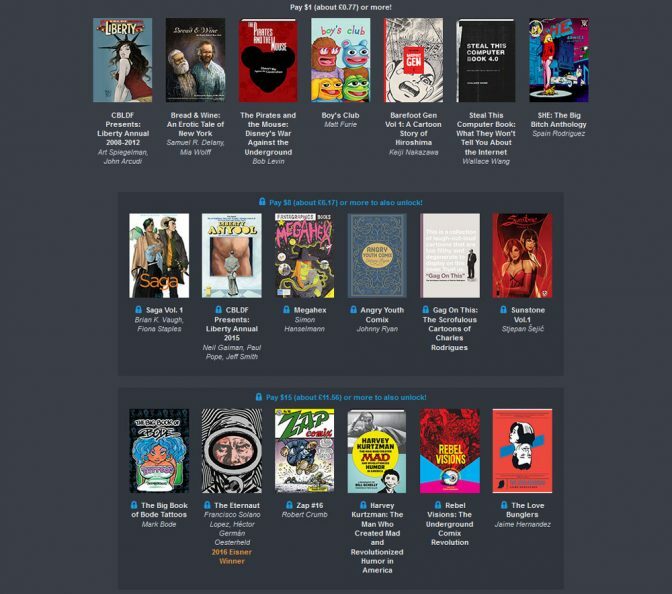 Title include the first volumes in Keiji Nakazawa’s seminal Hiroshima-set Barefoot Gen, Brian K Vaughan and Fiona Staple’s acclaimed Saga, as well as Jaime Hernandez’ The Love Bungers and contributions from the likes of Neil Gaiman, Paul Pope, Jeff Smith, Robert Crumb and Art Spiegelman. Charitable donations go towards the Comic Book Legal Defense Fund. Now, this sort of deal stirs up a curious kind of guilt in me, one which I suspect is exclusive to the comic collector. I know that I should support this fine collection of comic book literature, and that I should read the titles I haven’t… But I also know that once I’ve downloaded the bundle onto my tablet, the chances of me actually reading any of it are minimal, especially when I’ve got such an enormous backlog of physical graphic novels that still demand my attention.